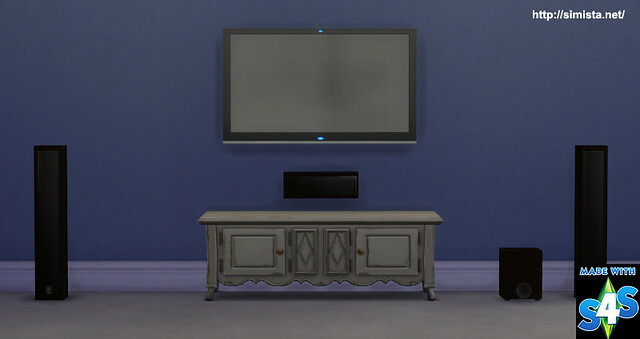 Home Theater System, nostelga for me if nothing else, this is the first mesh I created. 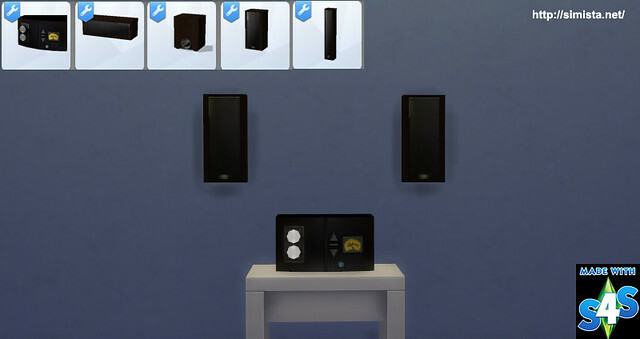 I made this when sims4studio was in the beta stage for objects.It consists of two tall front speakers, a center speaker, a woofer and an amp for deco. All speakers act like a stereo. This creation is Non-default.